2018 FCWC - Jan. 26th-27th - Atlantic Braids Ltd. Fish Canada Workboat Canada is the country’s largest commercial marine trade show. 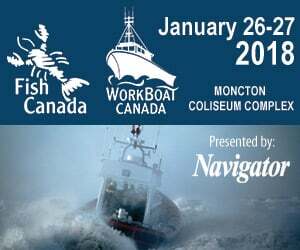 It takes place every two years in the centrally-located Hub City of Moncton and attracts those representing the fishing, aquaculture, processing and workboat industries from throughout Atlantic Canada and Quebec’s Gaspé Peninsula. The last edition of the event, held in January 2016, welcomed over 5,500 visitors and proved to be the strongest show in over a decade in terms of size, sales and overall attendance.